Set up the table for Valentine’s and I’m pretty happy with it. I snuck the ornaments off of my daughter’s tiny tree and replaced them with glittery hearts. She was excited to have an “every holiday” tree in her room. 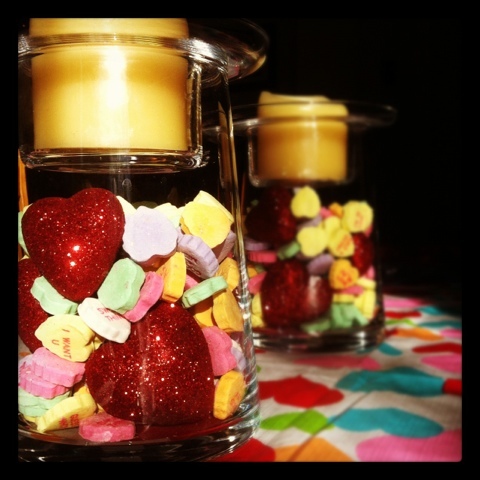 This entry was posted in Crafts, Project 366 and tagged centerpiece, hearts, Instagram, project 366, Valentine's day. Bookmark the permalink.